Create a custom frame for a commercial calendar or build an attractive perpetual calendar with free plans for calendars that include step-by-step instructions and materials list. Another easy project is a set of date blocks that helps you keep track of the day of the month and do double duty as paperweights. These projects use scrap lumber and can be made from clear pine or poplar, as well as exotic hardwoods. Get the kids involved building a perpetual calendar for grandparents or other loved ones as a memorable Christmas or birthday gift. Help them apply rub-on letter and number decals, or hand paint the blocks for a personalized, artistic touch. Use colorful paint to complete the project, or select stain that blends with the wood pieces in the room. Finish with clear urethane for a durable finish in either gloss or satin coat. 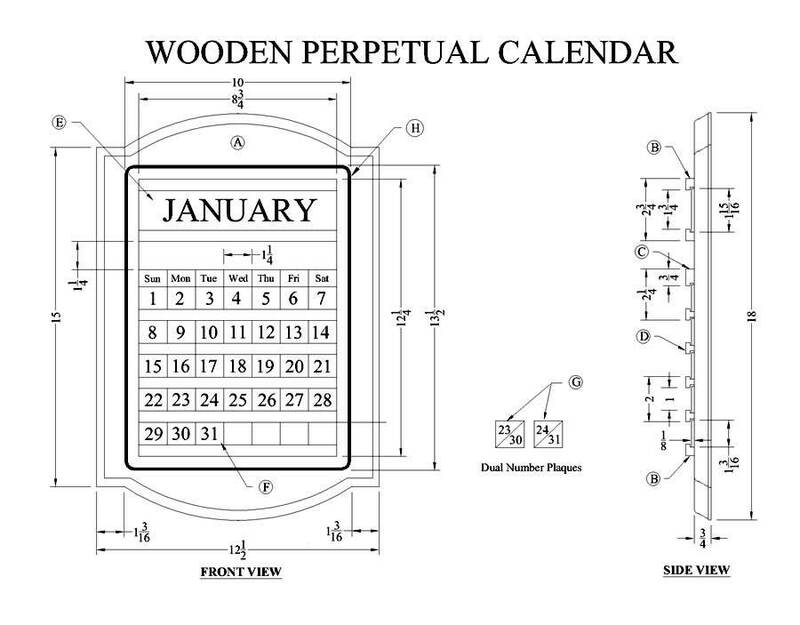 Make a yearly calendar stand out by building a calendar frame using these instructions. Here is a calendar with numbered wooden blocks that can be rearranged for each month and year. This is a calendar that you never throw away. 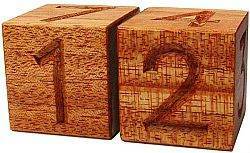 These date blocks are built out of two wooden cubes and make excellent gifts, plus they look great on top of a desk.